The University of Guelph’s Arrell Food Institute is hosting an inaugural Arrell Food Summit this Tuesday, May 22 – Wednesday, May 23 at the University of Guelph, with the final day of the Summit and the Arrell Global Food Innovation Awards Gala to follow at the Four Seasons Hotel in Toronto on Thursday, May 24. 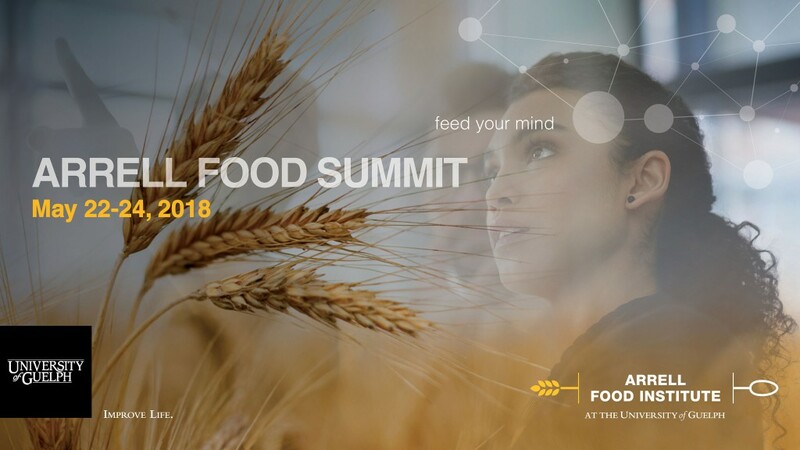 The Summit will be host to a number of high-profile speakers discussing their influential research in sustainability, innovation and the future of food. The Arrell Global Food Innovation Awards Gala in Toronto will then celebrate some significant contributions made toward building a more sustainable, nutritious global food system, particularly as the population is set to exceed 9 billion people by 2050. The Honourable Lawrence MacAulay, Minister of Agriculture and Agri-Food, will speak at the awards dinner, where the two recipients, Solidaridad and Dr. Samuel S. Myers, will each receive $100,000 in recognition of their achievements. “Each of the award winners’ work is especially impactful because they considered the challenge from a new angle and used innovative approaches to find solutions,” explains Duncan. For more on the Summit and registration, visit the Arrell Food Institute website here.